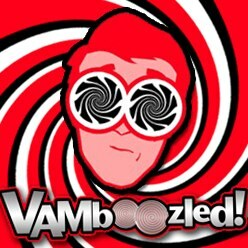 The “Every Student Succeeds Act” (ESSA) To Replace “No Child Left Behind” (NCLB) | VAMboozled! Yesterday, the US “Senate overwhelmingly passe[d] new national education legislation” called the “Every Student Succeeds Act” (ESSA; formerly known as The Student Success Act (H.R. 5)). The ESSA passed the Senate with an 85-12 vote, and it is officially set to replace “No Child Left Behind” (NCLB), once President Obama signs it into law (expectedly, today). This same act passed, with a similar margin, in the US House last October (see a prior post about this here). The ESSA is to reduce “the federal footprint and restore local control, while empowering parents and education leaders to hold schools accountable for effectively teaching students” within their states, and also “[reset] Washington’s relationship with the nation’s 100,000 public schools” and its nearly 50 million public school students and their 3.4 million public school teachers, while “sending significant power back to states and local districts while maintaining limited federal oversight of education.” Peripherally, albeit substantially, this will also impact those who greatly influence (and/or profit from) the “public school market estimated to be worth about $700 billion” (e.g., testing companies, value-added modelers/contractors). Replace the current national accountability scheme based on high stakes tests with state-led accountability systems, returning responsibility for measuring student and school performance to states and school districts. Although, states will still be required to test students annually in mathematics and reading in grades three through eight and once in high school, as per NCLB’s earlier provisions. States will also be required to publicly report these scores according to race, income, ethnicity, disability and whether students are English-language learners (ELLs). Allow states to decide how to weight these and other test scores and, more importantly as related to this blog, decide whether and how to evaluate teachers with or without said scores. States will be able to “set their own goals and timelines for academic progress, though their plans must be approved by the federal Department of Education.” About this latter caveat there exists some uncertainty; hence, we will have to see how this one plays out. This “is the single biggest step toward local control of public schools in 25 years,” said Senator Lamar Alexander (Republican-Tennessee), chair of the Senate education panel and a chief architect of the law along with Senator Patty Murray (Democrat-Washington). See other related articles on this here, here, and here. As per this last post, the Badass Teachers Association (BATs) highlight both the good and the bad in ESSA as they see it. The good more or less mirrors that which is highlighted above, the bad includes legitimate concerns about how ESSA will allow for more charter schools, more room for Teach For America (TFA), “Pay for Success” for investors, and the like. This entry was posted in General and tagged Consumer Alert!, High Stakes, History, States, Tests, US Dept of Education by Audrey Amrein-Beardsley. Bookmark the permalink. Seems as though this might also be a portal through which those who wish to abolish the teaching of evolution and banning an increased number of books that do not espouse a specific ideology might push their agenda with more “local” control of education. Not sure NCLB was all that great, but I can see a power-grab at the local levels under ESSA…have to wait to see (with fingers crossed that this truly benefits learners and isn’t used so much as a political weapon by special interest groups, but not too hopeful). “… decide whether and how to evaluate teachers with or without said scores.” Is it your understanding States are not required to use test scores to evaluate teachers?